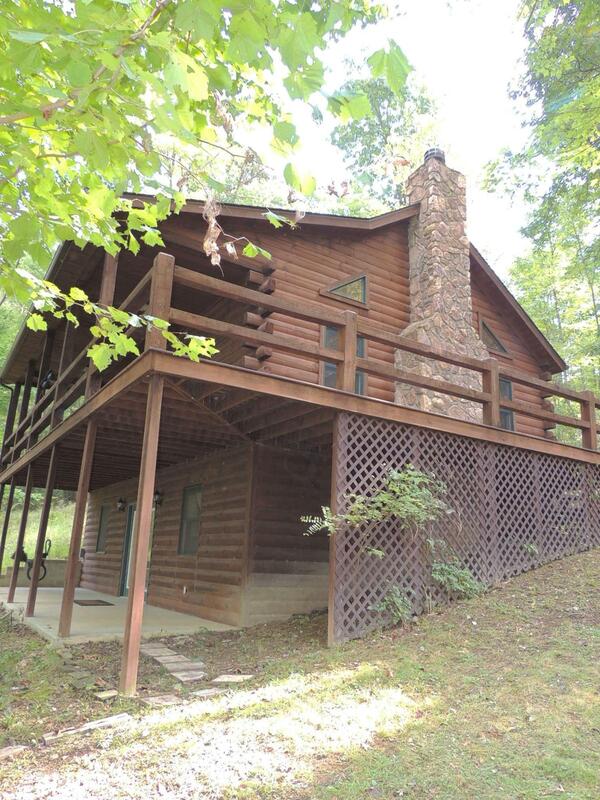 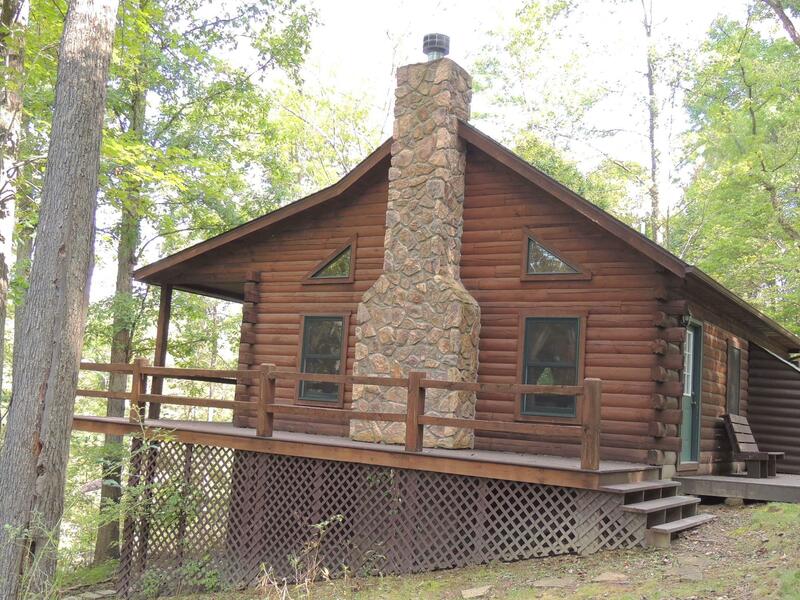 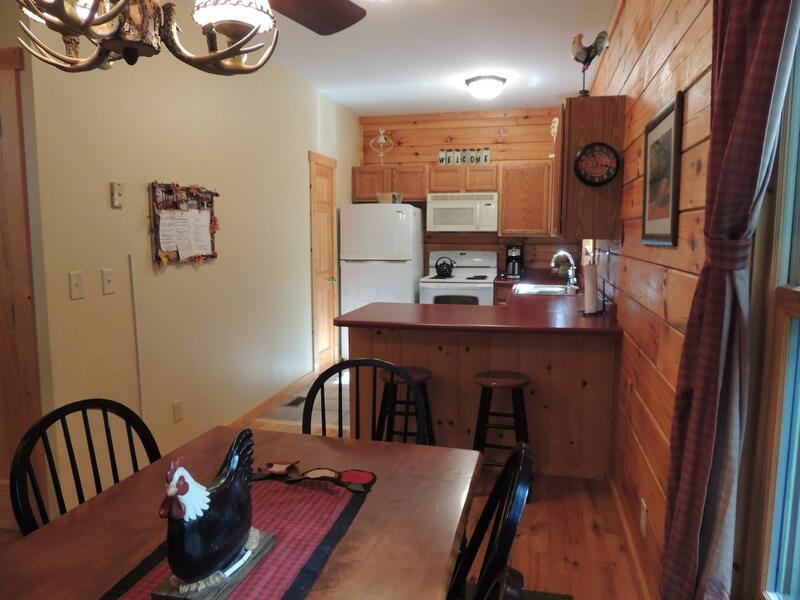 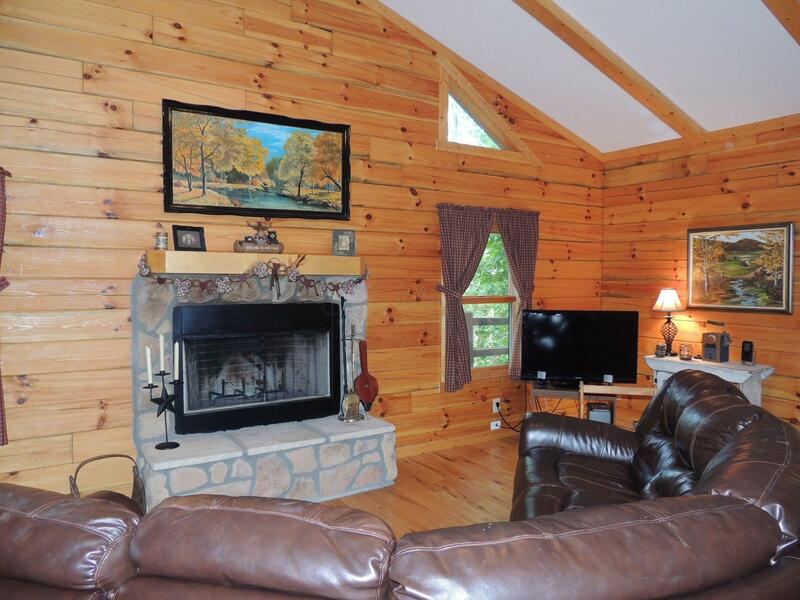 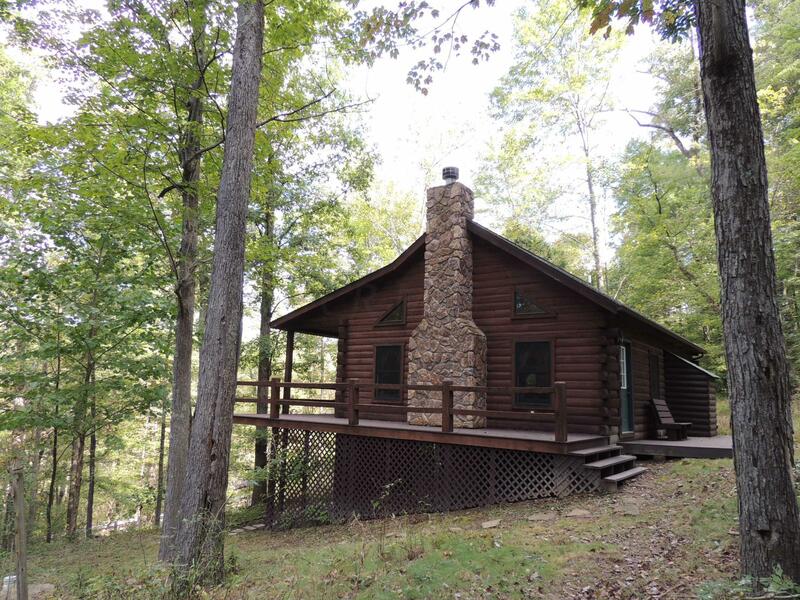 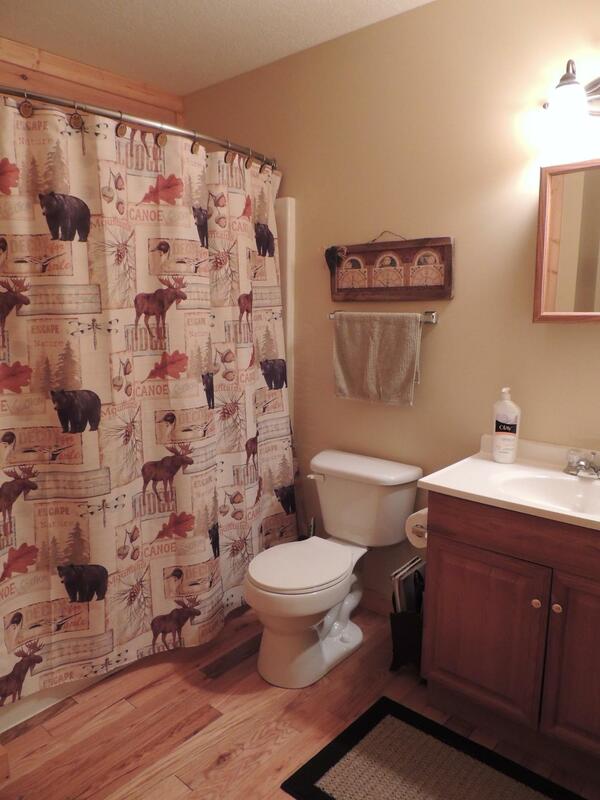 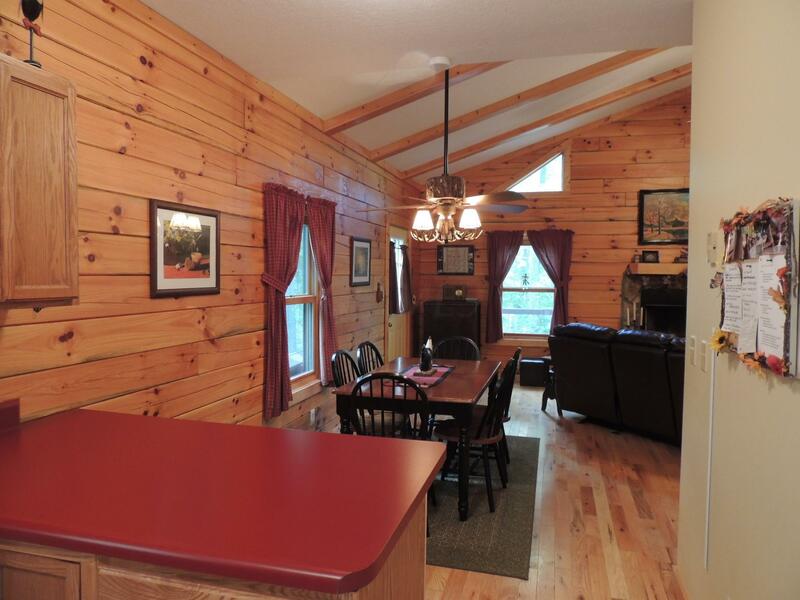 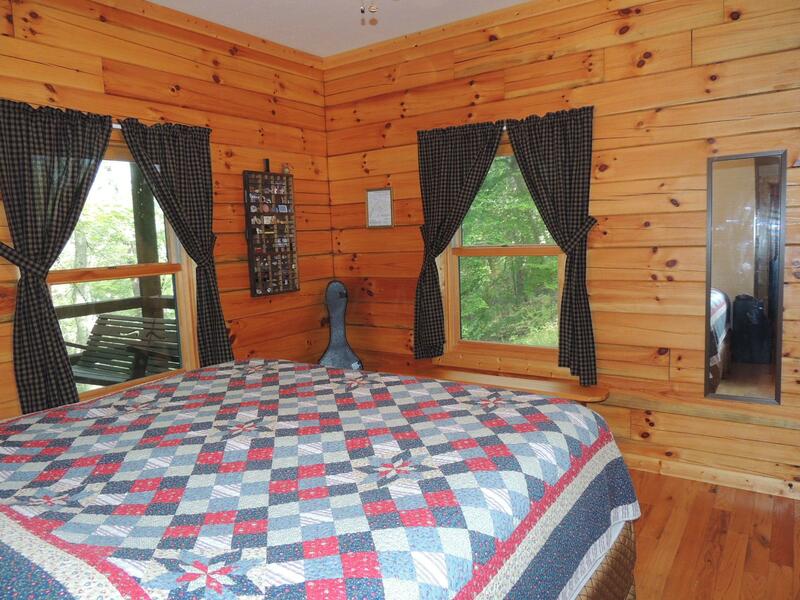 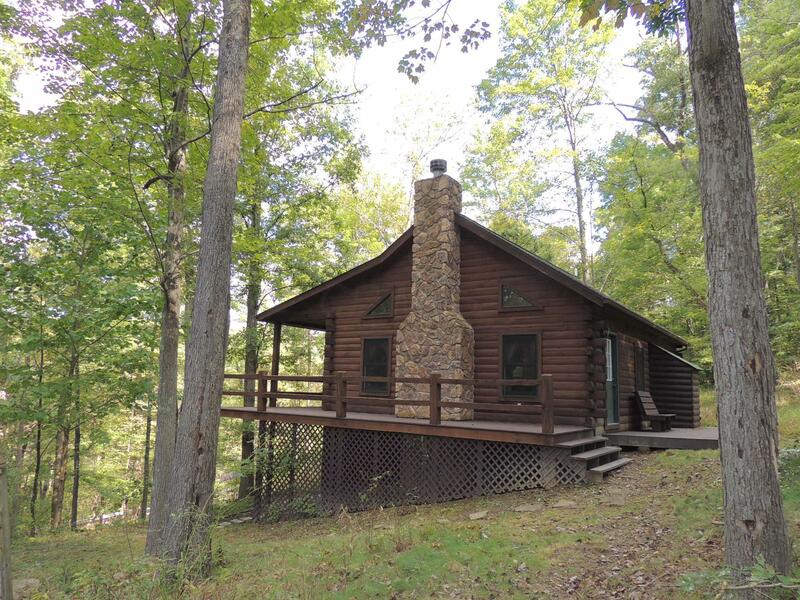 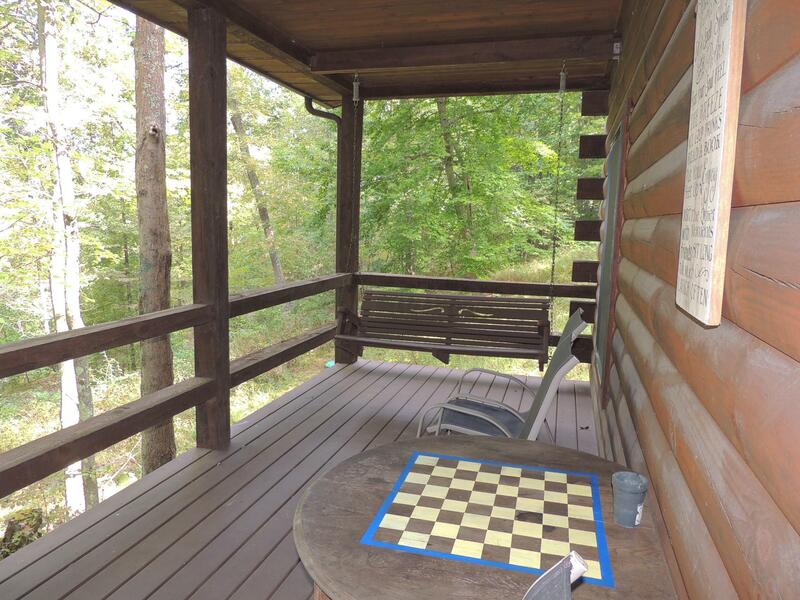 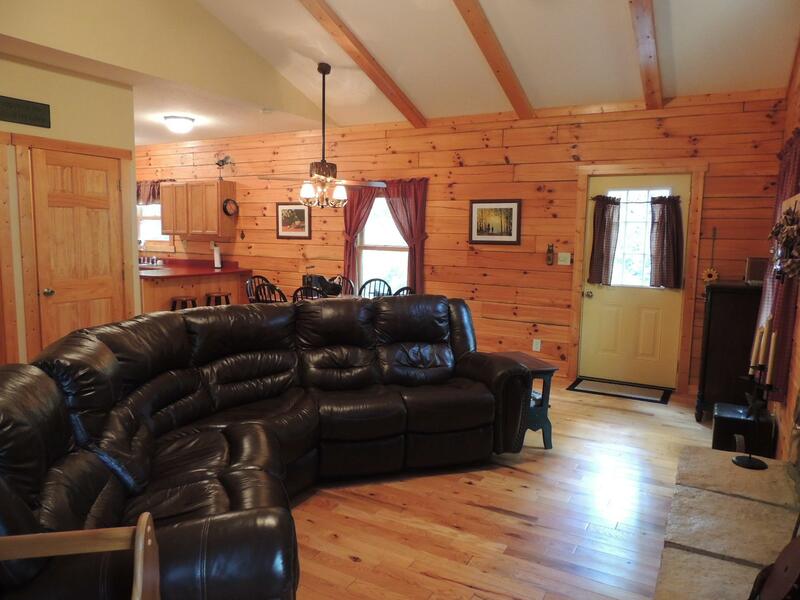 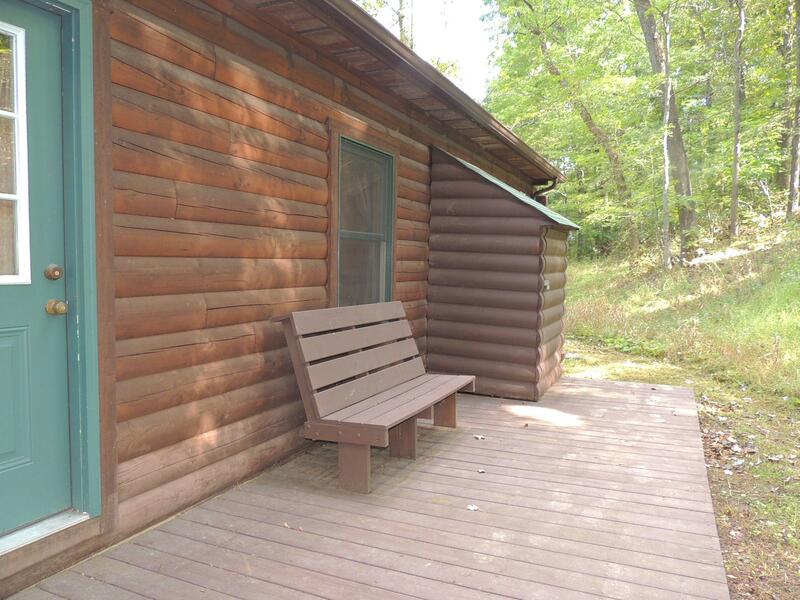 Log Cabin in PRIME Hocking Hills location!Lovingly occupied and maintained by single owner as second home, this cabin has frontage on Big Pine Road, just a mile off SR 664 on the way to Old Man's Cave and all Hocking Hills destinations. 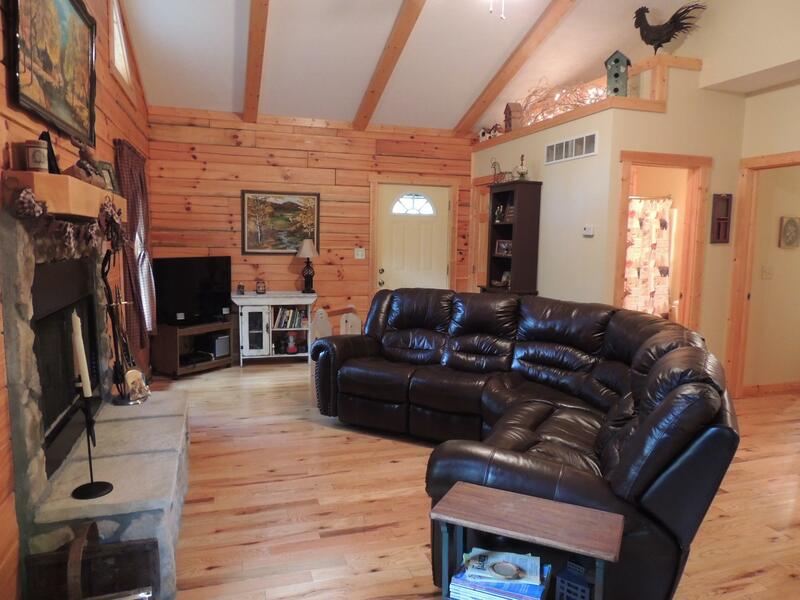 The raised ranch style provides a bedroom suite on the upper level and another suite on the walk out lower level with covered decking on both levels. 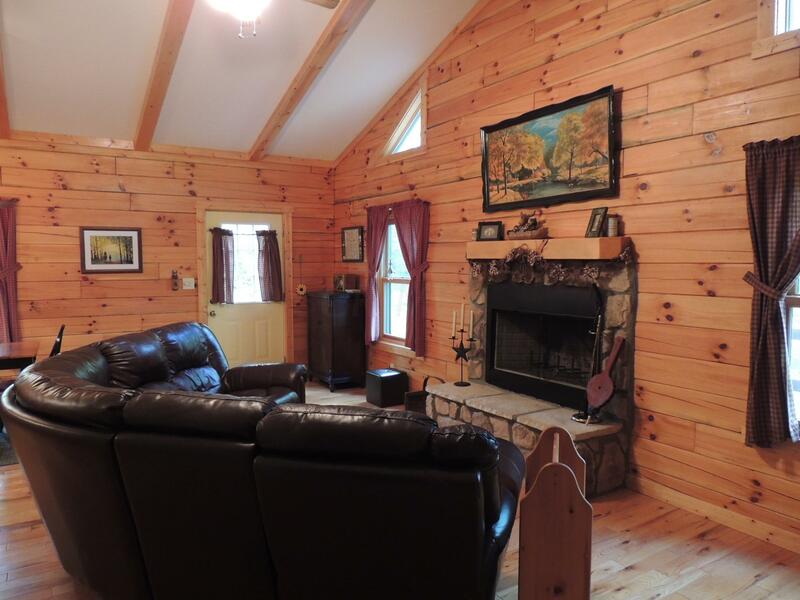 The great room features a wbfp, stone hearth and open kitchen/dining area. 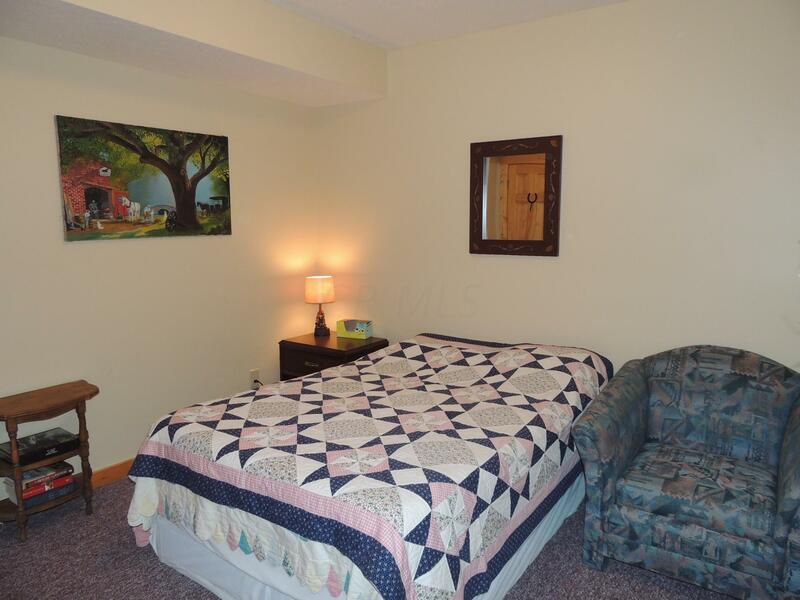 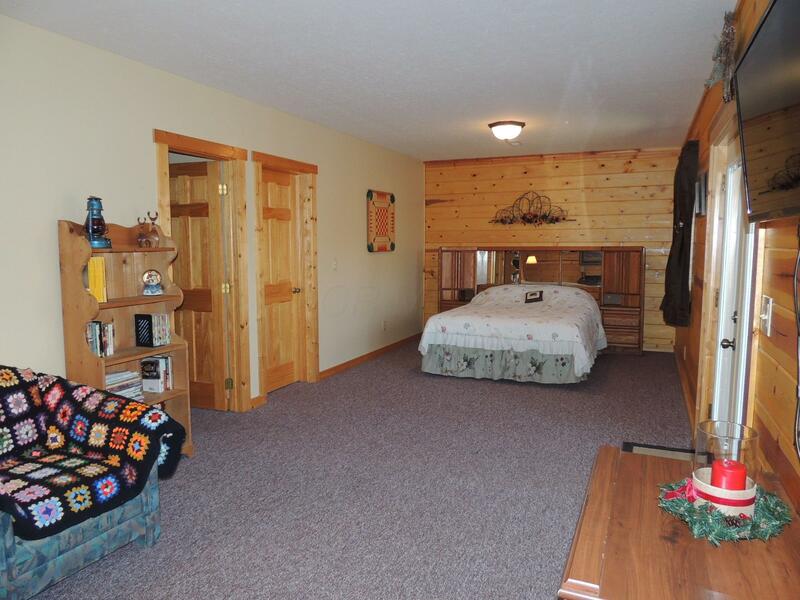 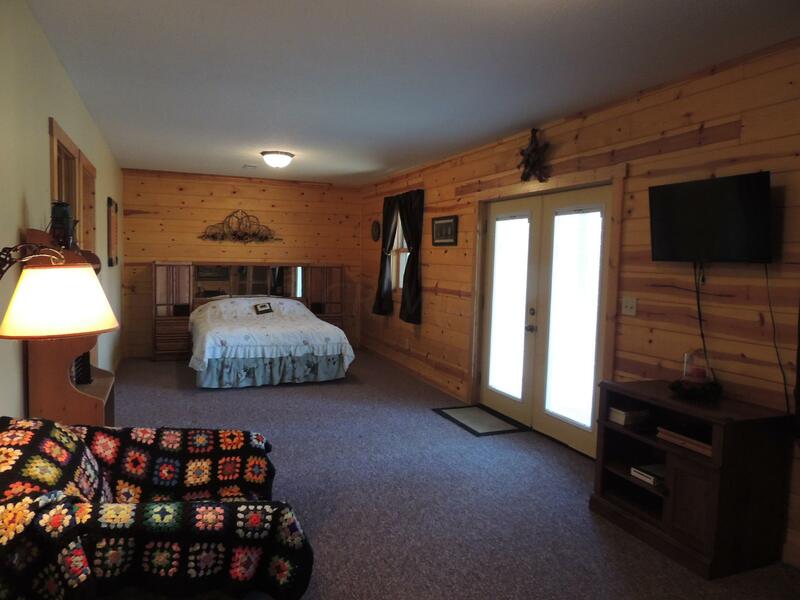 The lower level has family room with screened sleeping area, enclosed bedroom & full bathroom. 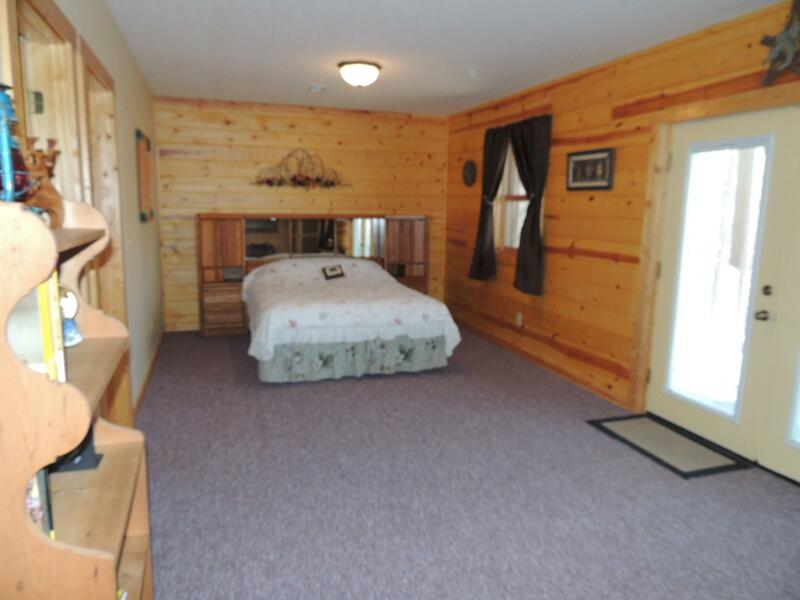 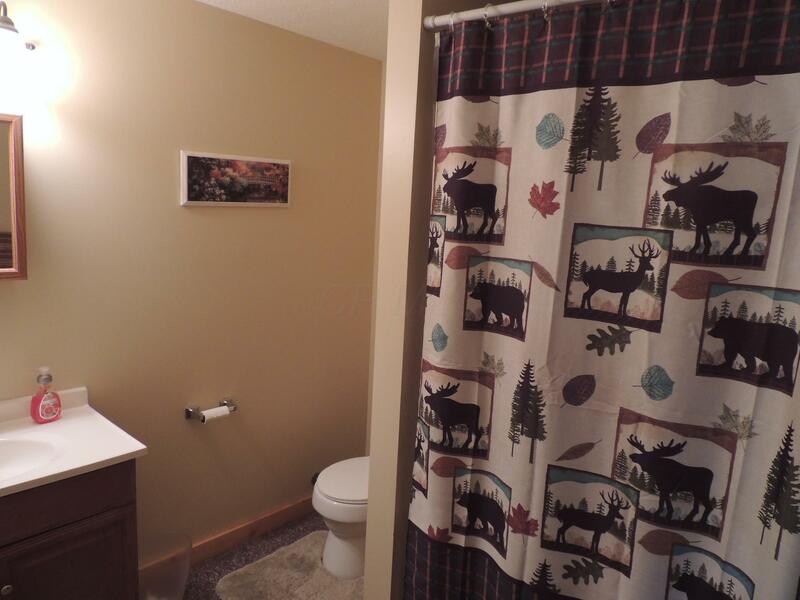 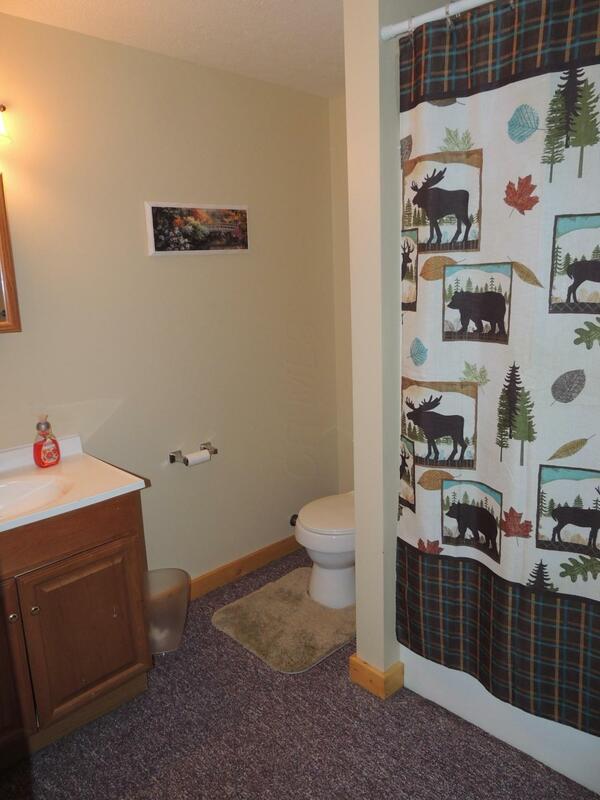 Tucked in the woods, no lawn mowing, private easily accessible driveway.